This month my favorites are all over the place, there's a little of everything. It's been a crazy month, with upcoming final preparations for classes, repainting my room, more closet organization, and a new job. Many of my favorites have helped me cope with the stress that comes with all of that. My skincare favorite this month is Aztec Secret. Aztec Secret is a natural clay that you mix with water or apple cider vinegar to create a purifying face mask. I have been using this with Bragg Organic Apple Cider Vinegar, and have had great results. I leave the mask on for 20 minutes tops and my skin feels smoother and insanely clean afterwards! I'm such a mask junkie, but I really think this is something that is going to stay in my routine forever. I have also been loving Ben and Jerry's Dairy Free Ice Creams this month. As you may have read in my skincare routine post, I went dairy free a few months ago. I have finally been able to have ice cream, which I am so happy about with the beautiful weather we have had in New York. These ice creams are made with almond milk and taste like a dream, one of my favorites is Chunky Monkey. If you're curious, you can check out their other flavors here. Mother's Day is never easy for me, honestly no holiday is, but that is my own fault. I'm an overachiever when it comes to gifts, I go crazy trying to find the perfect gift. This year I was at a bit of a loss as what I should buy my Mom for Mother's Day. I decided that creating a board might spark some inspiration and sharing it may help someone else out too! After choosing the SandCloud towel, I went with a lot of other boho options, but I think my mom would really like the lokai, candle or any of the handbags. I have been in a beach state of mind this week, I'm writing this quick post during hell week so the beach sounds amazing right now. A few of these are things I see buying myself in the next few months. Specifically the SandCloud Towel, I love that they come in double wide sizes as well, since part of a Long Island summer is hitting the beach with your friends. SandCloud is an awesome and ethical brand, they donate their proceeds to helping marine life. Having a night to myself is essential; being a student, working, blogging, and constantly traveling can be stressful. If haven't already set aside one night a week to relax, I highly suggest it. Having this night to look forward to helps cut down on stress. One of the first things I do on Wednesday nights is light a candle, some of my favorites include Mahogany Teakwood, Bow Ties & Bourbon, Baja Cactus Blossom, as well as London- Tea and Lemon. If you're familiar with any of those scents you'll notice that I love darker cologne-esque fragrances as well as light fresh scents. I was really excited when I received Brooklinen's Bourbon & Blood Orange candle to review. It perfectly marries the darker scent with a lighter fresh orange fragrance. I highly recommend giving this one a try, especially if you're somewhat of a candle snob like me. And who doesn't love chalkboard painted jars?! Before a shower or bath I like to apply a face mask, one of my favorite clay masks at the moment is from Era Organics. I've mentioned it before, but you really can't go wrong when pampering yourself with dead sea mud. Jena from Provoke a Smile tagged me in this adorable tag and I figured it would be a great post for my followers to know a bit about me. My dad calls me cuckoo bird... I have no idea why but he's been calling me that my whole life. I never really had that stage of childhood where I asked him not to call me that, so at 20 I'm still known as cuckoo bird. My boyfriend calls me nicknames such as pumpkin, pudding, and love. I love it and him. In high school a friend of mine called me chives, I think it was because we were talking about how everyone mispronounces my last name. One of my close friends called me Pam after a teacher in our high school called me that. I went to catholic school and by senior year they weren't as hard on you about uniform infractions so a lot of us bent the rules a little. (rolled up blazer sleeves, untucked shirts.. things like that)I had this teacher freshman year and she caught me in the hall outside of passing time and said "Pam tuck in your shirt".... she didn't have that many students so I'm not sure why she thought my name was Pam, but whatever. I'm awful at keeping up with movies but here are a few that I can think of off the top of my head. Hi everyone! This past week I finally got around to making an Instagram especially for my blog, the link will be available on the sidebar of my blog, along with my other social media sites. I've been meaning to write this post for quite awhile now, but I wanted to make sure that the changes I had made were really working for me. This time last year my face... well it wasn't something I was confident about. It's taken a lot of adjustments as well as some trial and error to figure out what works for me, but I think at almost 21 years of age I've got my routine down. Here are some steps I have taken, and changes I have made to improve my complexion, I hope these tips work for you as well. Not that I really wanted to quote Justin Bieber or anything, but seriously! Get comfortable in your skin, take a break during the week to treat yourself to a face mask, drink water, just treat yourself right! This was difficult for me at first but evidence suggests that the hormones in dairy milk can spike androgens in your body, which cause over production of oil and acne. I was skeptical at first but when I slip up and have a few servings of dairy it shows itself throughout the next week. Shopping in the vegan and organic section of my supermarket, Trader Joes and on Thrive Market have made it easier for me to stick to this lifestyle change. Try a glass of vanilla almond milk, trust me, you can give up dairy. Products with tons of chemicals tend to over dry my skin, leaving it dull and lackluster. I've got my routine down now to a science and at least 80% of the products I use are natural. I haven't been keeping up with this one lately, but exercise helps to reduce stress and it also makes you sweat, ridding your body of toxins. Stress tends to be what causes the few breakouts that I do see (thanks college), but when I was working out 3 times I week I saw a major difference in both my mood and my skin. This is hard for some people, but I'm going back to my first point "love yourself". You need to let your skin breathe. I never thought I could go barefaced, and I hadn't from the age of 14-19. I'm now realizing why my skin was terrible for all those years. I now go makeup free at least 6 days out of the week! It took me some time, but I had to learn to feel confident and beautiful with how I look naturally. I can't give instructions on that, all I can say is it took a little bit of bravery. Now it feels normal! I don't leave campus feeling like my skin cannot breathe, and my pores are smaller than ever. This week I had the chance to test out a cosmetic company that I was not previously aquatinted with. 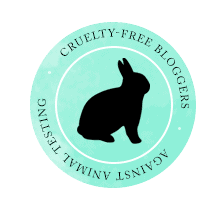 MAKE Beauty is a cruelty free beauty company that produces beautiful products. They were kind enough to provide me with the most adorable little samples. Both samples that I received were kind of 'your skin but better' shades. I wish I got more interesting shades because MAKE has a wide variety of colors, but I used the eyeshadow as a base and think it looks beautiful blended with other colors. The eyeshadow was very pigmented and was easily picked up by my brush. Overall I'm really happy with this shadow, and I look forward to trying out some of their full size colors. These are my two favorite shades! March has been kind of a strange month for me. It has been one of my most hectic, yet lazy months of the semester. All the work seems to be piling on, but it's spring break as I'm writing this so I've thankfully gotten some downtime, some of it lazy and some of it adventurous. As usual I have a monthly favorites post for you all, much of it having to do with health and wellness! I picked this up at my local Five Below for $5, my goal is to use it a couple times a week to work on my core muscles. I think as finals come around exercising a bit more will help relieve stress. It may seem a bit strange to some of you that I would include these in a favorites, or on my blog at all, but LOLA was kind enough to send me a box of their natural cotton tampons to try out and post about. 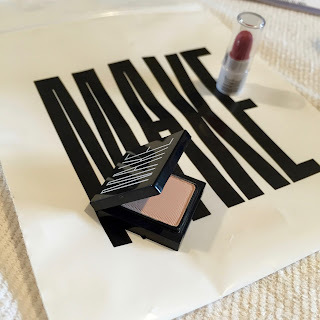 Over the past few months, along with trying to transition to cruelty free products, I have been trying to find other things in my routine that could be improved upon... things that may be synthetic and possibly harmful(?). According to their site the FDA regulates feminine products, but does not require companies to list all of the ingredients in their products. The well known brands that make the feminine products we usually pick up at the store use synthetics and dyes. Although I'm personally not aware if this makes a difference, I feel more comfortable using something that is 100% natural, in the long run I believe it will be better for my body. LOLA is also a subscription service, so you can decide on how many you'll need and how often you want them sent to you, plus you can cancel at anytime. I suggest ordering a box! I love sweet potatoes in every form, mashed, baked, fried... so it's no surprise these are one of my favorite snacks. Their sweet, salty, crunchy and satisfying. I am not a huge tea drinker, but I saw these cute little packages at Urban Outfitters and I decided to give it a try. Green Tea in a powdered form is supposedly more beneficial, and is packed with vitamins and antioxidants. I like that drinking matcha means there won't be any tea leaves floating around. Overall I really enjoyed this tea, I also added some to a face mask. The benefits seem to be endless, my next idea is to add some to a smoothie!